^yeah this episode got me tearing up. Kato Seishiro is soo good, he's at par with Tsuyoshi. their scenes together are always memorable and they have the best chemistry in the series imho. 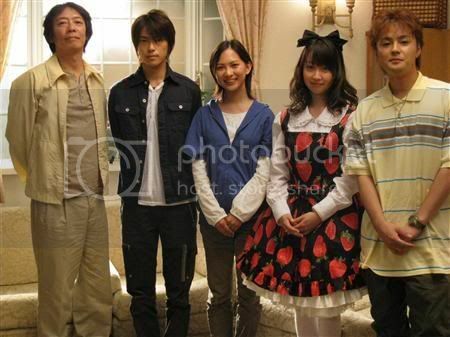 is that Inoue Mao? she may be the guest for the 1st episode. the other cast members have been announced: Yaotome Hikaru, Yamamoto Ryuji, Harada Natsuki, Oshinari Shugo, Haru, Shiba Toshio, Rokkaku Seiji, Sasaki Kuranosuke, Takahata Atsuko on the official site. Topic: WHAT DRAMA(S) ARE YOU CURRENTLY WATCHING? 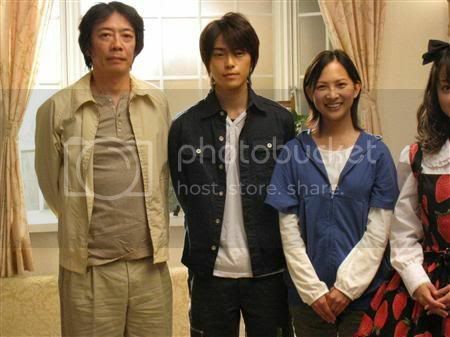 just finished Odoru Daisousasen, now i know why this drama is so big in Japan..it's really good! next in my list is the Jikou Keisatsu series. nino's crying scene in the last episode of ryusei no kizuna made a very deep impression on me, it was a heartfelt performance. chckboy5 wrote: anyone have the mp3s? gomen, i should have linked to the Japanese Wiki page of Kaze no Garden. it shows there that Yoshimata is in charge of the music. Haruspex, thanks so much!!! i hope you will continue..
Can someone please tell me what this show is? too tragic.. i cant believe it. who will care for her children now? Godbless them..
Topic: Which CD/DVD brand do you suggest I buy? i agree that Verbatim+R, particularly the silver 16x, is very good, ive been using it for 2 years now, burned about 500 dvds, only 2-3 coasters, and those failed burns were due to my dvd writer. but if you can find it, Taiyo Yuden is still the best. Topic: Do you have a Blog? ok so Mika's song was for Ryusei no Kizuna..
woah, that poster looks interesting..similar to last friends but more intriguing and eye-catching. does the naked Maki indicate that she will do more controversial scenes in the drama?! i cant wait to see..
so he has one thing in common with Maki, both of them had gender-bending roles. he's so cute in the PV! im sure he will have a great chemistry with Maki..
the screenwriter is Asano Taeko(Last Friends, Kamisama mou Sukoshi Dake). i hope to see Maki with an expressive, intense actors like Yamada Takayuki or Koide Keisuke. if it's possible i want her again with Fujiwara Tatsuya because they were such a nice pair in Tokyo Daikushu. i also like to see her with Shun, this time with more romantic and serious scenes. shannobi wrote: By the way, who sings the ending song? I really liked it. the theme song "Ai no Uta" is sung by a new singer, Fukui Mai. thanks for the summary yanie!! the story is very interesting indeed..
thank so much for subbing!! ill definitely watch this, ive been reading the summaries on your blog and im really curious with the story. where are the hardsubs? i cant find it..
found it!! thank you so much for the hard work!! arigatou! do u have any other baseball drama thats good to watch? well you can try H2, another drama based on a popular baseball manga. yes i have it! my current fave song..
the links ive posted are screenshots from Sankei Sports, but here is the online article. ive added the LJ link because of the summary. but the drama is definitely confirmed. Nino's drama confirmed!!! Nino x Ryo x Erika x Kudokan..!! 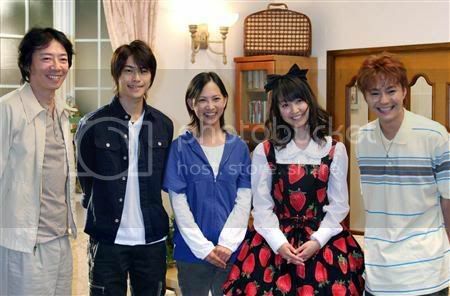 Does anyone have the Japanese Hotelier OST and the theme song Namida no Niji by Aya Ueta? Thanks in advance. Mabo and Mikako have a great chemistry!! its fun to watch because they're both good actors. this drama has a similar storyline as another NTV drama Seigi no Mikata, both comedies about love-hate relationship between siblings, but i prefer Yasuko to Kenji so far. bluexberryz wrote: Hi. I am looking for the theme song from Wonderful Life. Kimi wa Tomodachi by Hirai Ken. If anyone could help me out with this thanks. as expected, just like Iryu 2, ratings for episode 2 dropped. the singer's name is Tsubaki. lyrics by Shiina Ringo, the single will be released this September. 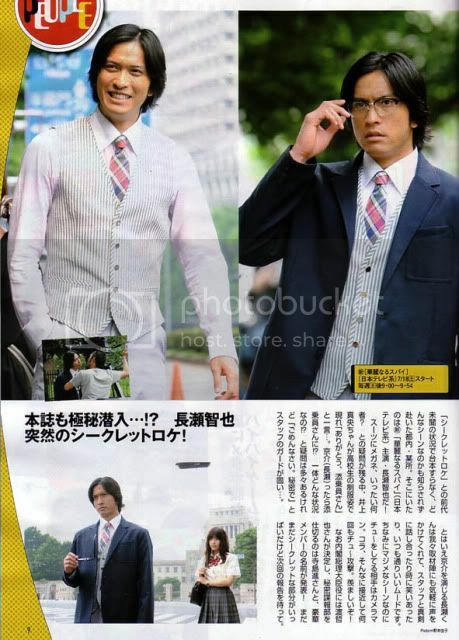 Topic: [Discussion] Tomorrow - Upcoming Yutaka Takenouchi Drama !! cant wait, what a great cast!